Clear Channel International has appointed Richard Cross to the newly created role of Chief Digital Transformation Officer. He will be responsible for ensuring that technology and digital innovation are at the forefront of CCI’s ongoing transformation strategy, providing leadership across the business’s 22 international markets in a collaborative effort to fully exploit the disruptive potential of digitally enabled advertising. He will also sit on CCI’s Executive Committee, the company’s senior leadership team. Richard brings over 30 years IT experience to the role, with 15 years leading innovative and disruptive digital transformation in large corporate organisations. He also has significant experience of leading technology enabled business and IT transformation across a range of industries. He joins Clear Channel from engineering giant Atkins, where he held the role of Group Chief Digital Officer and CIO since 2014. He was named Chief Digital Officer of the year at the 2017 Technology Leader Awards for driving a transformative and disruptive technology agenda to support the company’s global strategy, and has been named 1 CIO for Private companies in the CIO100 list for the past two years. Prior to this, he was Group CIO of Arup, responsible for all aspects of IT and drove a transformational knowledge management and collaboration strategy. 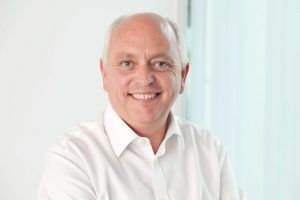 During his 8 year tenure as Group Technology Director for ITV, Richard oversaw the successful digital transformation of ITV including the launch of ITV Player, and initiated a new emerging technology exploitation group to identify, trial, and commercialise new technologies. Before this he was a Vice President at NDS, News Corp’s digital TV technology business, and played a leading role in developing the digital TV market, creating cutting-edge advertising solutions for major TV channels and TV platforms. Richard has also held consultancy roles at Ernst & Young and Accenture, specializing in large-scale business transformation projects for companies including American Airlines, Whirlpool, Unilever and Harley Davidson. As CCI’s CDTO, Richard will create a team with broad digital capabilities to drive the digital strategy, which will include leading CCI’s central IT team of 50 people whose remit includes Architecture, Portfolio, Business Intelligence, Live Services, Information Security and Programmatic. Working closely with the senior leadership team, he will ensure that Clear Channel takes advantage of all aspects of digital disruption impacting the advertising industry and continues to be at the forefront of digital innovation. “I am thrilled to be joining Clear Channel International at such an exciting time in the evolution of out of home and look forward to collaborating with the teams across the world to drive a truly transformational strategy that puts technology – and the innovative culture and new ways of working needed to support it – at the heart of the business,” said Cross.